HB-101 is a liquid plant growth enhancer formula that comes from extracts of cedars, pines, cypress trees and plantains. 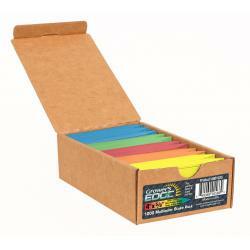 These trees are long lived with a powerful deodorizing power. HB-101 Plant Vitalizer natural extract that is derived from the portion of the plant that is most important in its development process. 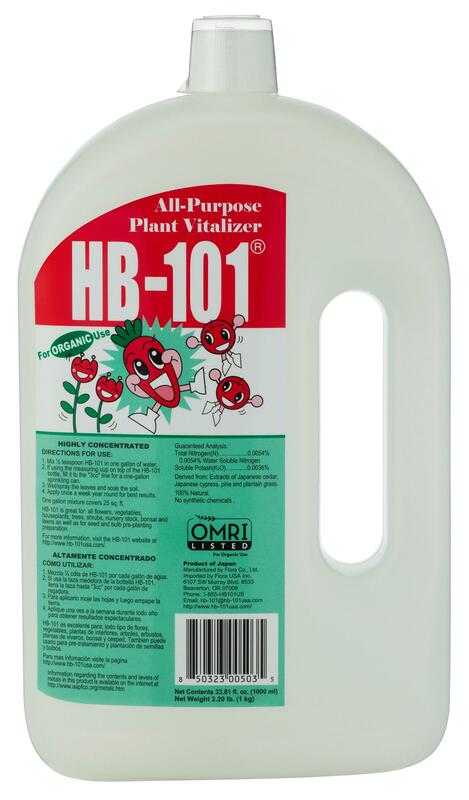 HB-101 is a growth nutrient for plants, flowers and crop production and is not a chemical fertilizer. Being 100% organic product, it is safe for plants and animals making it perfect for organic and reduced-chemical cultivation. 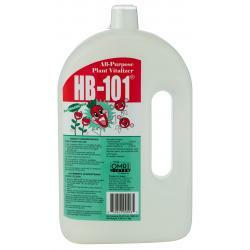 HB-101 is formulated and bottled in a ready-to-dilute solution for easy and immediate use. 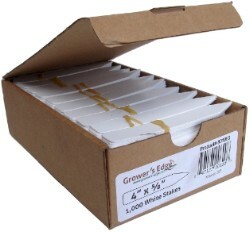 Highly concentrated, it's a cost-efficient way to achieve healthier, more vibrant plants. 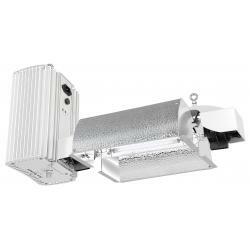 HB-101 has gained the approval of people worldwide who enjoy growing plants, including farmers, kitchen gardeners, horticulturalists and garden hobbyists throughout Japan. Not for sale in the following location(s): AR, CA, CT, DE, FL, GA, IA, IL, KS, MA, MD, ME, MN, MS, NC, ND, NJ, NM, OH, OK, PA, PR, RI, SC, SD, TN, VA, WI.